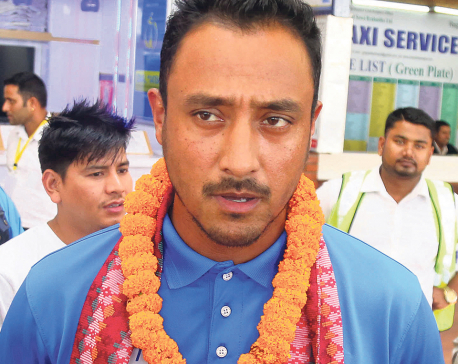 KATHMANDU, March 20: Nepali national cricket team captain Paras Khadka has been felicitated with a cash prize of Rs 100,000 at Kathmandu Youth Conclave (KYC) in Kathmandu on Tuesday. The 31-year-old skipper was conferred the title of Youth Icon 2019. 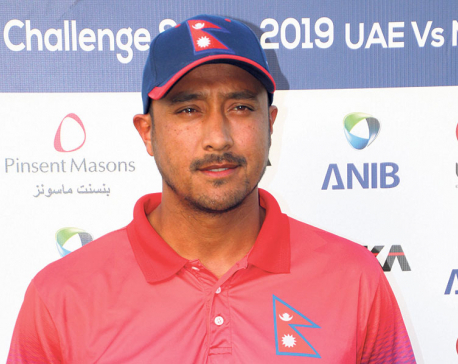 KATHMANDU, March 19: Captain and Skipper of Nepali national cricket team Paras Khadka has been conferred with the title of Youth Icon 2019. KATHMANDU, Jan 30: Nepal cricket has been marred by controversies and unaccountability for years. It has lacked basic facilities or requirements to create a proper playing environment for cricketers. The suspension of Cricket Association of Nepal (CAN) in April 2016 came as the pinnacle of incompetency that pushed Nepal into further uncertainty. 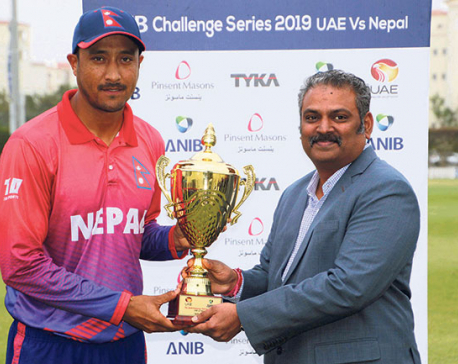 KATHMANDU, Jan 29: National cricket team captain Paras Khadka’s maiden century in One-Day International (ODI) cricket inspired Nepal to its first-ever bilateral series win in international cricket after securing win by four wickets in the third and final ODI match against the United Arab Emirates (UAE) played at ICC Academy in Dubai on Monday. POKHARA, Nov 1: Chitwan Rhinos won by 13 runs to Kathmandu Royals. In 20 overs, Chitwan Rhinos scored 149 runs losing five wickets. 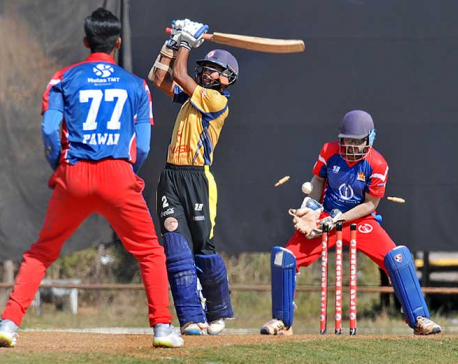 In reply, Kathmandu Royals could only score 136 runs losing nine wickets. 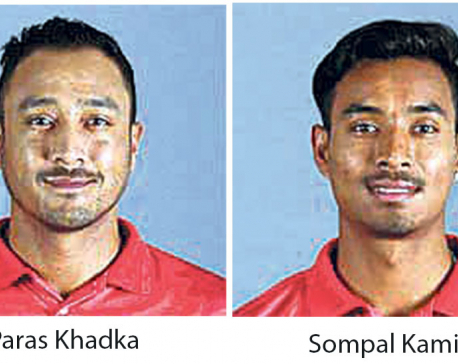 KATHMANDU, Sept 9: Nepal’s national cricket team captain Paras Khadka and ace all rounder Sompal Kami are included in the players’ draft list for the Afghanistan Premier League (APL) scheduled for Monday in Dubai. 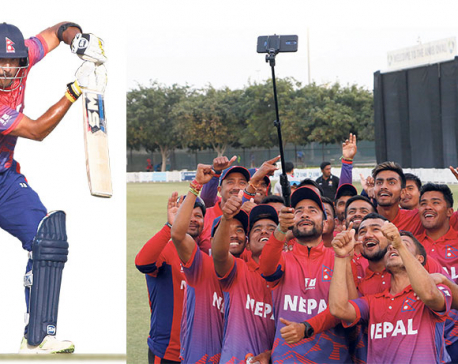 KATHMANDU, Sept 8: Nepal’s national cricket team arrived at Kathmandu after their participation in 2018 Asia Cup Qualifiers, Kuala Lumpur, Malaysia where they finished fourth in the league and missed out on final places. 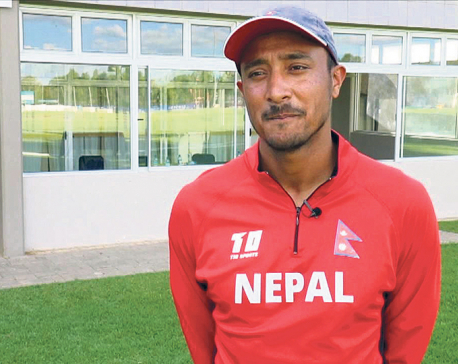 KATHMANDU, Aug 21: Nepal national team skipper Paras Khadka emphasized on delivering as a unit to march for the Asian Cup Qualifiers title.